Money and accounting are serious business with your company. Tracking and collecting money owed is critical to complete the sales cycle. 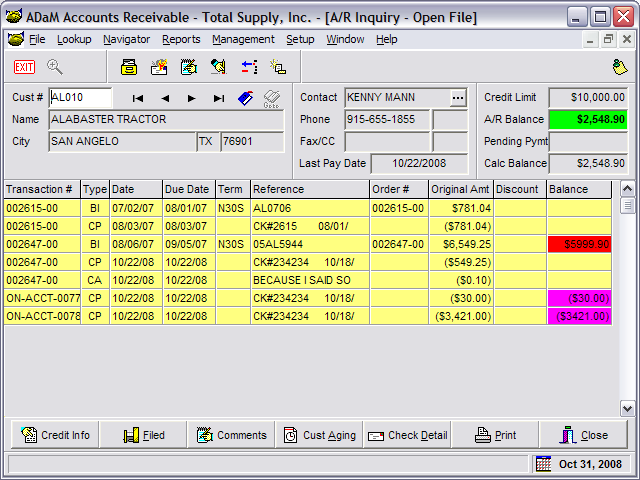 The ADaM Accounts Receivable system is designed to provide the tools necessary for accurate accounting and management of your accounts receivable. With automated customer processing and complete customer information, you can provide the service that your customers have come to expect. 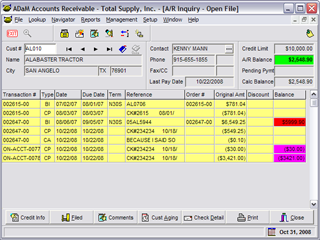 Accounts receivable inquiries, customer notes, and credit history all add up to good account management.